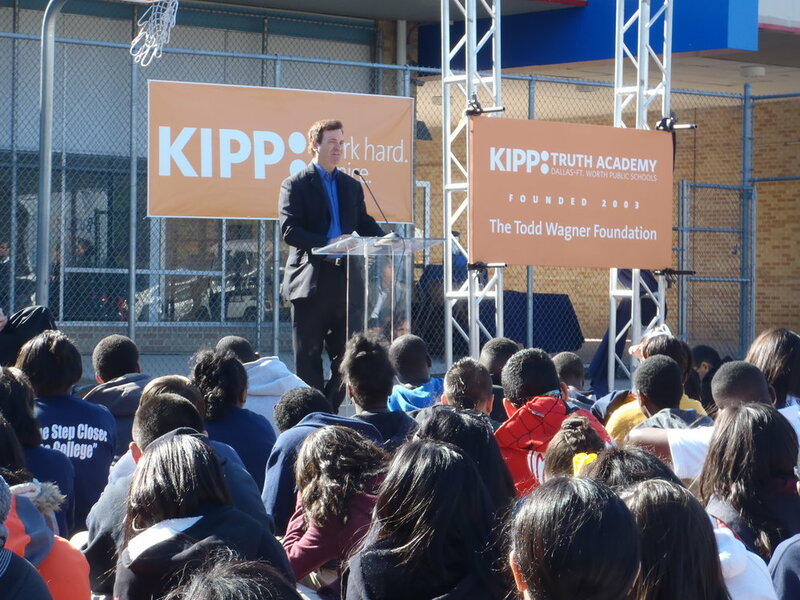 Since its founding over fifteen years ago, the Todd Wagner Foundation has been committed to improving the lives of at-risk children and other residents of underserved communities through education, technology, and enrichment opportunities. The Foundation has committed tens of millions of dollars to help thousands of individuals, with a particular focus on programs for disadvantaged youth and those that address global issues affecting youth and the environment. Founded by entrepreneur and philanthropist Todd Wagner, the Foundation has sought to adapt entrepreneurial principles to philanthropic initiatives that assist disadvantaged youth and others in need to achieve better lives. Towards that end, the Foundation has developed and funded programs that have promoted innovative ways of empowering those at risk, most of all young people, with the means to get ahead in academic proficiency, technology skills, discipline, and an appreciation for the value of hard work. In addition to pursuing its core mission of enhancing opportunities for disadvantaged youth, the Foundation supports a range of other initiatives to enrich the lives of communities both here in the U.S. and across the globe.